Longleash (violin, cello, piano) is an ensemble with a traditional instrumentation and a progressive identity. 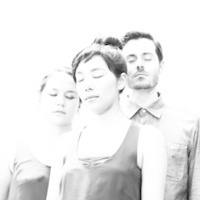 Inspired by new music with unusual sonic beauty, an inventive streak, and compelling cultural relevancy, Longleash extends a love of classical chamber musicianship to the interpretation of contemporary music, crafting performances that are both dynamic and thoughtfully refined. An “expert young trio” praised for its “subtle and meticulous musicianship” (Strad magazine) and for navigating “an incredible breadth of musical styles with technical expertise and expressive innovation” (Feast of Music), Longleash has quickly earned a reputation in the US and abroad for innovative programming, artistic excellence, and new music advocacy. The trio takes its name from Operation Long Leash, a covert CIA operation designed to promote the work of American avant-garde artists in Europe during the Cold War. Longleash (Pala Garcia, violin; John Popham, cello; Renate Rohlfing, piano) met in New York while training at The Juilliard School and Manhattan School of Music. Currently in its fourth season, Longleash is bringing exciting new works to life in noteworthy debuts and return engagements. Their 2017–2018 season began with debut performances at Vienna’s Echoraum and Graz’s Open Music series, earning praise for “excellent,” “high quality,” and “magnificent” interpretations of compositions by female composers (Kleine Zeitung). Other season highlights include returns to Queen of the Hudson (Newburgh, NY), City University of New York, and Manhattan School of Music, as well as a debut performance at Princeton Sound Kitchen and a portrait concert of the celebrated American composer Nils Vigeland, supported by the Amphion Foundation. In 2017, the trio was awarded a Chamber Music America Commissioning Grant, in support of a new work written for Longleash by American composer Shawn Jaeger. Longleash’s 2017–18 season culminates with the fourth annual Loretto Project, the trio’s composition workshop and new music series in Kentucky, celebrating adventurous new music by promising young composers from varied backgrounds. October 2017 marked the highly-anticipated release of Longleash’s debut album, Passage, on New Focus Recordings. Featuring new music by an international group of composers launching remarkable careers, Passage earned wide critical acclaim, praising the trio’s performance as “fearlessly accomplished, the most outré effects realised with confident ease” (The Arts Desk) and “vividly maximizing the musicality and accessibility of uncompromisingly experimental pieces” (Textura). Passage was also featured on critics’ playlists including Alex Ross’ The Rest is Noise, Peter Margasak’s Chicago Reader, and Steve Smith’s The Log Journal. Longleash celebrated the release of the album with its debut at New York's (le) poisson rouge. Since its inaugural concert at the Kunstuniversität Graz (Austria) in 2013, Longleash has performed at highly regarded international contemporary music venues including the Experimental Media and Performing Arts Center (Troy, NY), San Francisco’s Center for New Music, National Sawdust, (le) poisson rouge, Florentinersaal (Palais Meran), and Brooklyn B(S? )und, as well as concert series with the Metropolitan Museum, the Kaufman Center (Ecstatic Music Festival), the Green Music Center (Sonoma), Queen of the Hudson (Newburgh, NY), Scandinavia House (New York City), Equilibrium Concerts (Boston), and the Consulate of the Federal Republic of Germany in New York. The trio was one of four groups selected for the 2015 Trondheim International Chamber Music Festival in Norway, performing works by American and Scandinavian composers. Longleash performances and interviews have been broadcast on Zeit-Ton Magazin (Ö1), Kultur Spezial - Konzert (Radio Steiermark ORF), New Sounds Live (WQXR), Q2 Music, Louisville Public Radio (WUOL), ArtxFM’s Muddle Instead of Music (WXOX), and What’s New (WBAA). Longleash has worked closely with composers Beat Furrer, Klaus Lang, Suzanne Farrin, Reiko Füting, Anthony Cheung, and Nils Vigeland, premiered works by Younghi Pagh-Paan, Ken Ueno, Lisa Streich, Yukiko Watanabe, Francesco Filidei, Juan de Dios Magdaleno, and commissioned new works from Scott Wollschleger and Adam McCartney. The group has given lectures, workshops, and composition readings at University of Nebraska-Kearney, The Juilliard School, Hunter College, New York University, Rutgers University, Ohio University, and Manhattan School of Music, and served as Teaching Artists in Residence with pianoSonoma. Longleash is generously supported by Chamber Music America, The Aaron Copland Fund for Music, the Amphion Foundation, and Columbia University's Alice M. Ditson Fund for American Music.